As we prepare to welcome the kids for our upcoming winter Orphan Hosting program, we are so THRILLED to announce that this beautiful girl from our summer hosting program has officially been matched with a family! Lottie’s family has already begun submitting their adoption paperwork, and they are working towards bringing her home as soon as possible. Like many of the children in our Orphan Hosting program, Lottie was hosted by an advocate family. 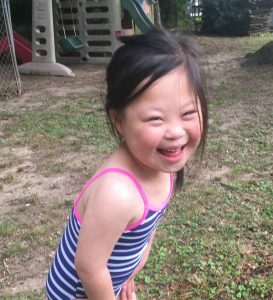 By welcoming her into their home for four weeks during the summer, they were able to learn more about her personality and her needs so that they could help her find the perfect Forever Family! Congratulations Lottie, we can’t wait to see you come home! Winter Host Kids Arrive Soon! The kids who are participating in this winter’s Orphan Hosting program will be arriving NEXT WEEK! 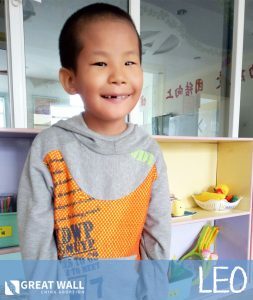 While some of our host families have already decided to pursue the adoption of their host child, others, like Lottie’s host family, are hosting as advocates. If you are interested in learning about the host kids who are in need of families, visit our Orphan Hosting advocacy page or contact our hosting coordinators today!